A piping hot bowl of Caldo Gallego hearty soup is an ultimate comfort food. Whether it is to warm up on a cold winter night, to bring back childhood memories or to feel whole again when you are sick, there is nothing that beats a good old bowl of soup. Those of you who are looking to try something different yet healthy and yummy should try out the famous Galician Caldo Gallego, a white bean broth infused with meat and vegetables. Caldo Gallego is a traditional Spanish soup from Galicia, a grass-covered region in the North-West of the Iberian Peninsula by the Atlantic coast. If you have never had Caldo Gallego before, give it a try. The wholesome bowl of nutritious goodness will cozy up your body to the core. The History of Caldo Gallego – Where Did the Hearty Soup Come From? 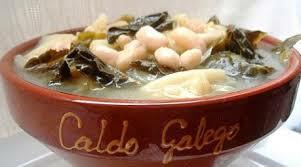 Caldo Gallego is a white bean broth that originated in the northern Spanish region of Galicia. For many centuries, the soup was one of the major source of nourishment in rural areas. While it may no longer be the principal sustenance, Caldo gallego is regarded as one of the most exclusive dishes of Galicia to this date. Like numerous other renowned cuisines in the world, the Spanish soup has a humble beginning. The origin of broth is linked to the farmers and agriculture. During the last century, more than half of Galicia’s population resided in agrarian regions. Far away from the cities and their accessible resources, people used to rely on their own orchards and farms for food. To keep their bodies nourished, the Galicians used to make the soup with whatever ingredients they could get their hands on. As a result, the recipe has turned to be highly variable. Each village, town and even household has its own unique method of preparation. Wherever you go in Galicia, you can expect to find a distinctive version of Caldo Gallego. The Galician farmers had three meals a day and a light snack. The breakfast traditionally was a piece of bread dipped in yesterday’s leftover of Caldo Gallego or oil. As lunchtime approached, a fresh pot of Caldo Gallego was prepared and served along with a glass of milk and a loaf of bread. The dinner also consisted of Caldo Gallego. One would think that having the same broth thrice a day must be tiring. Surprisingly enough, the soup never lost its immense popularity and is still enjoyed by the masses. Other than the soup, other local dishes like lacon and cocido gallego were usually cooked on special occasions and holidays. Since its inception, the Spanish white bean stew is mostly served during the winters to cope with the frigid temperatures. As mentioned previously, Caldo gallego has a different variety of ingredients. Depending on seasons, income and produce, families would have their own special set of instructions. There were people who could afford to buy all sorts of products including meat. For most of the families, however, meat was only used on certain events and celebrations. Most of the ingredients arereadily available and the soup itself is easy to prepare. One of the reasons the families would have it for breakfast the next day was because of its taste. Even though it won’t be fresh, the leftover broth still tastes amazing. If you don’t believe us, try it yourself. In short, it is an ideal Spanish dish to experience especially if money is tight. Would you like to taste this delicious Galicia speciality ? 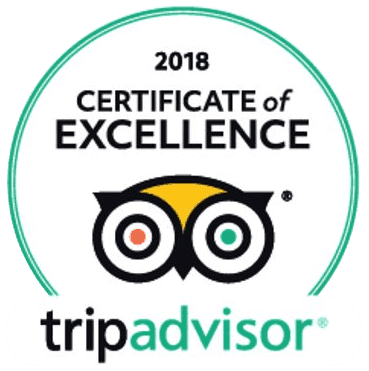 Try it through one of our trips to Santiago ! 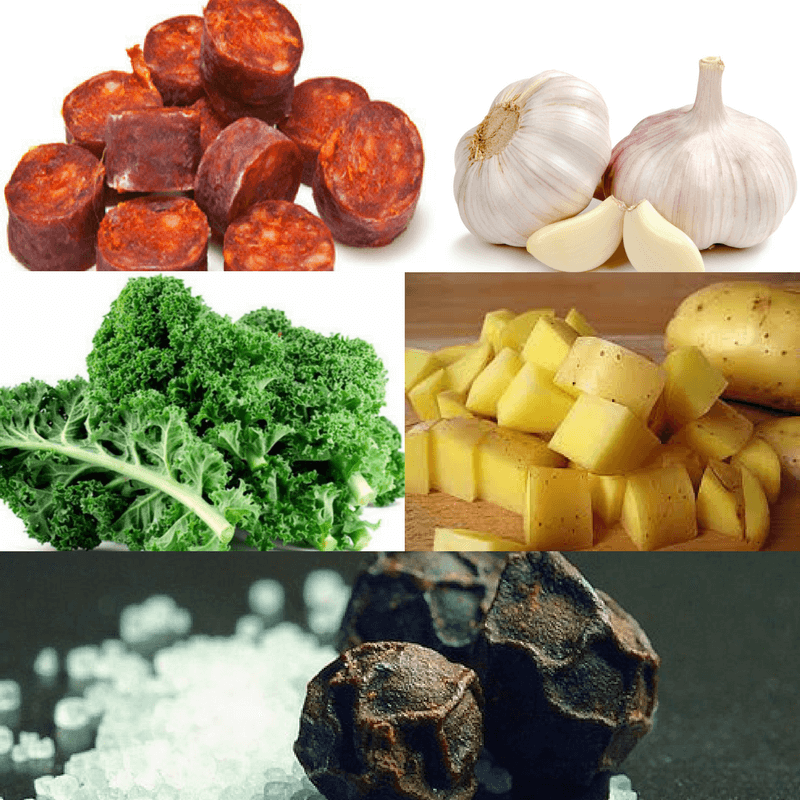 How to Prepare Caldo Gallego? Caldo Gallego is simple enough to make. Whether you are an awesome chef or pretty bad when it comes to cooking, the soup does not require amazing cooking skills. The ingredients are affordable and are easily available everywhere. While there are many types of recipes for this famous soup out there, we will share with you the most traditional one of them. Gather the ingredients, light your stove and get ready to brew up a delicious pot of Spanish soup. Take a large pot, add olive oil and sauté onions until they appear translucent. Next, throw in your minced garlic, chorizo, and pork into the pot. Sauté them for a minute, then add white beans and water. Let the stew cook. Once the water is reduced and the soup has gained a little consistency, add potatoes and turnips. Cook for another 20 minutes on medium heat. Add kale and bay leaf a few minutes before you serve the soup. Make sure the extra water evaporates or else the soup would be thin and runny. You can also add lard or corn flour to thicken the broth. Sprinkle grated Manchego cheese to jazz it up. Next time on a cold winter, make a hot bowl of caldo gallego and enjoy it with your loved ones.